I love it when friends send me pictures of their takes on recipes from this blog. My sister sent me one this morning of her take on the Chia Strawberry Shortcake Parfait in the last post: fresh mango with coconut chia pudding. 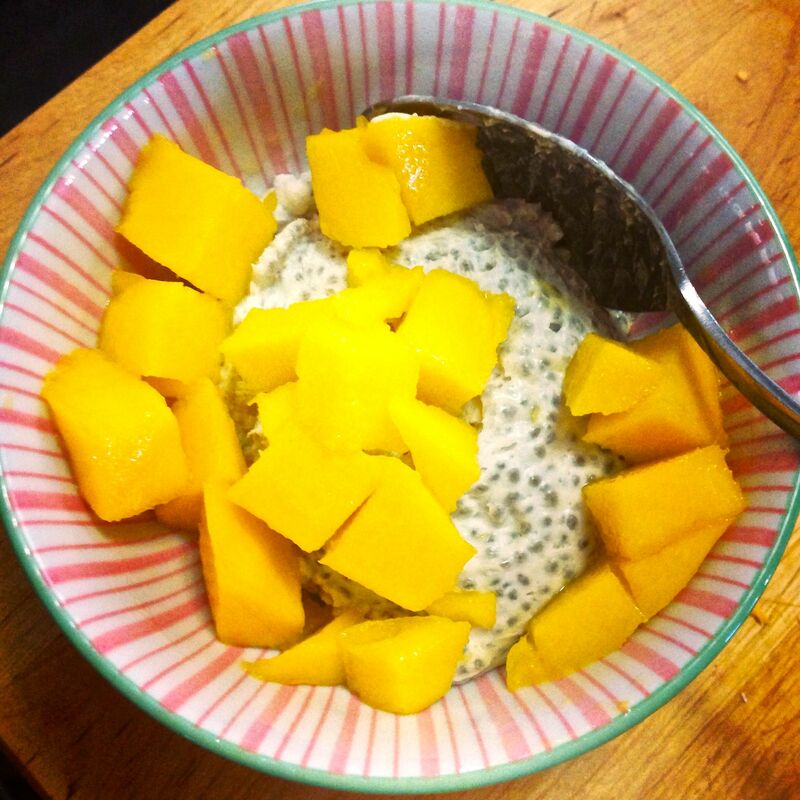 She made the recipe for my Very Vanilla Chia Pudding with Coconut Milk instead of Almond and added fresh mango. Yum! It makes me think of mango and sticky rice, one of my favorite sweet Thai treats. Do you ever snap any pictures of recipes from the Baby Bird’s Farm and Cocina Blog? Please share them with me! Use our contact page or connect via Facebook, Pinterest or Twitter. This entry was posted in Dessert, Food, Healthy Recipes, Recipes for the Whole Family, Seasonal Recipes and tagged baby and me dishes, easy seasonal cooking, easy seasonal recipes, naturally gluten free, vegan. Bookmark the permalink.